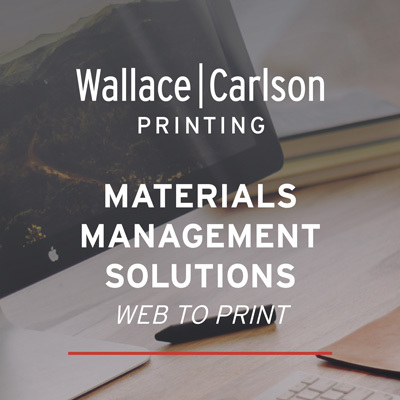 Wallace Carlson has earned a reputation of offset print quality for over 85 years. When it comes down to the wire as most printing projects do, our people and our experience make the difference to complete your project on time and on budget. Today’s “need it now” environment requires the ability to print what you want, when you want it, in exact quantities, quickly, affordably, and with better quality than ever before. Full-color digital offers high-quality short-run print-on-demand capabilities. Our digital technology produces excellent color, image quality, and robust variable imaging. Networked, on-demand, high-speed digital production technology is designed to handle any quantity. Whether it is full color or black-and-white, we can create multiple, specific, targeted messages geared to your audience’s particular interest.